Flyers defenseman Robert Hagg shoots the puck against the Toronto Maple Leafs on Thursday, January 18, 2018 in Philadelphia. 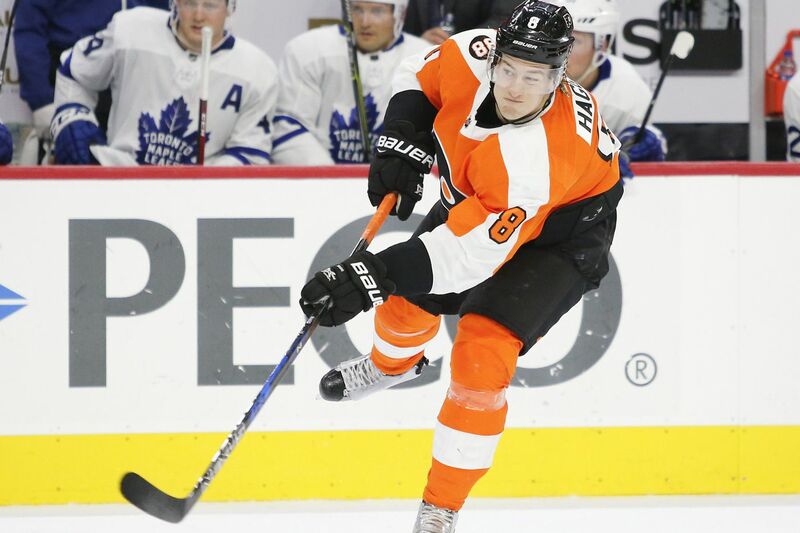 Defenseman Robert Hagg, a restricted free agent, signed a two-year extension with the Flyers on Wednesday night. The deal has an annual cap hit of $1.15 million. Hagg, 23, had three goals and six assists in 70 regular-season games as a rookie in 2017-18. He also posted a plus-5 rating, averaged 18 minutes and 8 seconds of ice time per game, and led all NHL rookies in hits (238). He tied for seventh in hits among all NHL players.